Sierra Club Florida News: Stop our State Parks' Destruction. Contact these Florida Senators now! Stop our State Parks' Destruction. Contact these Florida Senators now! We need your calls and emails now to stop imminent threats to Florida’s award-winning State Parks: including cattle leases, timbering, well fields, and hunting. Contact the State Senators listed below before Wednesday, Nov. 18 at 2 p.m.
Our parks are threatened by proposals for unprecedented new uses that put "The Real Florida” at risk, endanger visitors, impact ecological resources and violate the sensibilities most of us have for a bucolic and wholesome experience in the outdoors. The Parks' overseer, the Florida Department of Environmental Protection (DEP), seems intent on squeezing more money out of them, while the State Senate seeks to waive park entrance fees for a year. With funding for state park services cut severely over the past several years, why is a waiver of already-modest park entry fees being proposed? Why does the DEP need our parks to generate more revenue from non-compatible private enterprises when they already cover most of their costs? Unconfirmed DEP Secretary Jonathan Steverson has an agenda to radically change our State Parks from the traditional goals of conservation and recreation to a “multiple use” approach based on exploiting public resources. His pecuniary vision includes enterprising schemes, including cattle leases, timbering, well fields, and hunting. Several specific threats to the future of our state parks have emerged under DEP’s direction by Mr. Steverson. Mayakka State Park is not a place to run cattle, but that is exactly what DEP has proposed on the park's lands adjoining the Myakka River north of the Charlotte Harbor estuary. Myakka is the second most popular inland state park in Florida, with more visitors each year than the famous Ringling Museums. DEP mandated that Myakka was to accommodate a cattle lease and staff were directed to prepare a draft 30-page request for proposal while being instructed to not let the public know. Neither the Friends of Myakka Community Service Organization nor the Myakka River Management Coordinating Council was told about this elaborate plan. It took an official public records request to break the silence and expose this folly. Please contact the EPC committee members and tell them to maintain state entrance fees and say NO to extraction and privatization schemes in our parks. Chair: Senator Charles S. "Charlie" Dean, Sr.
-- Sign the online petition at Change.org to challenge placing cattle in Myakka River State Park. This will enable us to contact you when DEP sets a date for a public meeting. If you lose the link, just go to Change.org and search for “Myakka”. -- Write a letter to your local newspaper. We need stories and letters to appear statewide. -- Stay informed! Consider: Florida Parks in Peril website and its Facebook public group, ProtectPaynesPrairie.org & its Facebook organization page, and DEP’s report on how State Parks make money for Florida: Florida State Parks Economic Impact Assessment 2014. 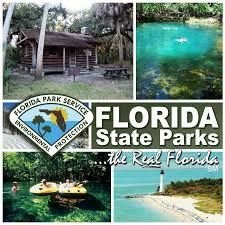 Sierra Club Florida will campaign in favor of protection of our fabulous state parks until this assault is over.